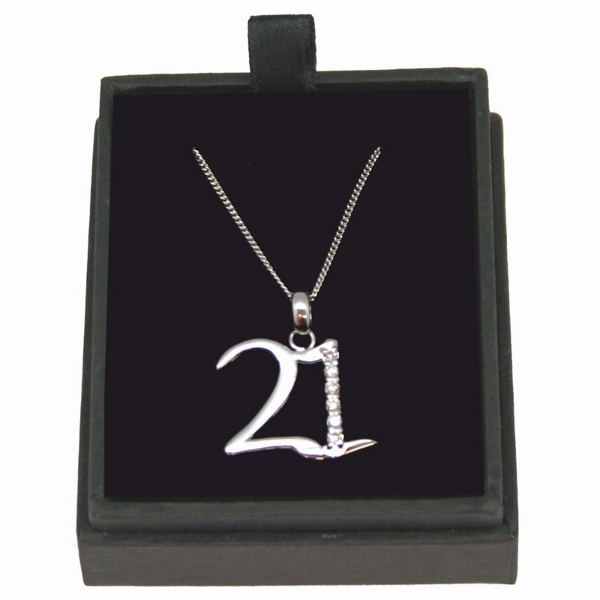 Sterling silver 21 pendant (.925) with Cubic Zirconia on the number 1 with an 18" chain. The 21 pendant measures 18mm x 19mm. They make perfect 21st Birthday presents.